The A275 has been closed at Lewes due to a road traffic collision, according to reports. Reports suggest the road has been closed both ways between The Drove and the A2029 Offham Road due to the collision outside the Curry Cottage. There is congestion to Cooksbridge for southbound traffic, reports suggest. The road remains blocked whilst emergency services and fire services are on scene working on the collision. Traffic is queuing, reports suggest. 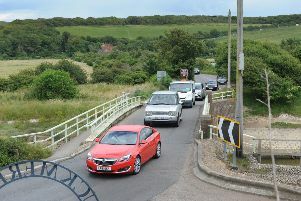 This is having an impact on the A27 near Lewes where traffic is ‘very slow’ according to reports. The collision is also impacting traffic on the A277 High Street both ways around Lewes Crown Court.